Looking for a yummy and Healthy Desserts to serve up to the family? 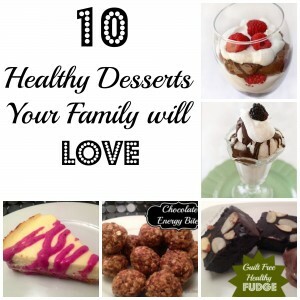 You will love these 10 healthy desserts! Your family won’t even know that they are eating something that is good for them! 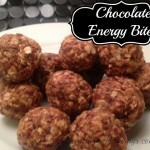 Chocolate Bites - These Chocolate Energy Bites are simple to make, and contain Flax Seed, which has so many health benefits! 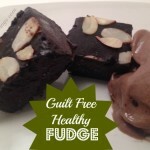 Guilt Free Fudge - Add a side of Banana “Ice Cream” and your sweet tooth will be satisfied. 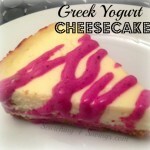 Greek Yogurt Cheesecake - Craving Cheesecake? 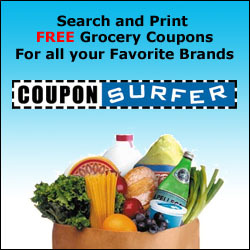 Check out this healthier alternative. 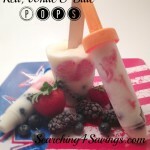 Yogurt Popsicles - Looking for a cold treat? Greek Yogurt, and fresh fruit will do the trick! 2 Ingredient Banana Cookies - What could be easier than 2 ingredients? Homemade Greek Yogurt - Stop spending so much money on the store bought stuff, and make your own! Chocolate “Pudding” Parfaits - These Parfaits, pack a power food that you wouldn’t expect. Coconut Banana “Ice Cream” - Another great cold treat, with minimal effort involved. Watermelon With A Kick! - Give your watermelon a kick with these yummy ideas. Healthy “Kool” Aid - Relax on the porch with this healthy drink with a kick! Certainly having told all of above. You can converse in this particular motif.